From an author's point of view, there's no prospect as potentially gratifying -- or terrifying -- as the first listen to the audiobook of one's novel. One will either cringe as one's words are put through deadening paces, or thrill to hear them declaimed in dulcet tones, with just the right tweak of emphasis on each phrase. 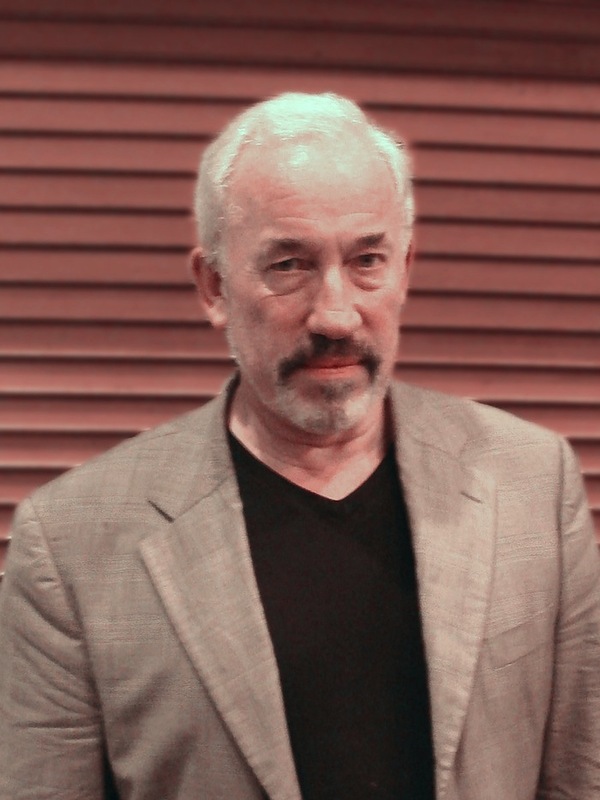 Happily, in my own case, it's been the latter -- in fact, I simply can't imagine a better rendition of Pyg than that given it by Simon Callow. Indeed, there are numerous moments of verbal delight to be had in his rendition which I could hardly have anticipated myself. Part of this, of course, is because Callow gives the book the British accents in which it's always been meant to be read, accents I could never have managed myself. As an actor with an enormous range of voices and characters, he brings both just the right regional accent, and just the stamp of personality, that each personage demands: Sam gets a touch of a Manchester accent; Dr. Johnson's imperious tones and slippery Staffordshire s's ring out perfectly, and one can almost hear the kindness and empathy in William Cullen's subtle Scots brogue. Toby himself, of course, can't be said to have had an "accent," since he spelled out his words with letters, and had not the gift of articulate speech bestowed on such fanciful latter-day porkers as Babe -- and yet, in Callow's measured and reflective embodiment, one can hear Toby's essential character as clear as a bell. I was quite amazed, when I first received the CD's, to see that Callow had even read out the scholarly appendix to the book, and delighted to discover on listening that he'd deliberately adopted a somewhat stuffy, know-it-all tone, such that even the least footnote was imbued with personality. For American and Canadian readers who may not immediately recognize Simon Callow's voice, I always say "Don't you remember Four Weddings and a Funeral? His was the funeral!" But this of course gives only the slightest slice of Callow's career -- a man who has, variously, done one-man shows as Shakespeare and Dickens, a professor possessed by the spirit of Aleister Crowley, and the Reverend Mr Beebe in the classic Room with a View. For my part, a favorite recent role was the turn he did as "Vernon Oxe,"the maddeningly self-important manager of a perhaps-to-be-revived British rock band in the "Counter Culture Blues" episode of Inspector Lewis. Mr Oxe's preferred method of malefaction was known as a "macerator," a device of which I had not previously heard -- it's something like a kitchen dispose-all, but much much larger. Fans of Orson Welles will also know Callow for his scholarly books on the great director, and in this guise he often pops up in unexpected places, like the special features disc of the Criterion Collection edition of Mr. Arkadin. Wherever he appears, he is always 'in good voice' -- and it's a voice that I feel tremendously honored gave Toby his own. US readers can obtain the audiobook at audible.com or iTunes, and those in the UK can find it at audible.co.uk.